As part of our work to create an enduring philanthropic community for all the people of Park City, Park City Community Foundation hosts several Crest Speaker Series events throughout the year. Each event includes engaging and interesting speakers, relevant, topical issues, and unique and fun activities. Our first Crest Speaker Series event of 2019 was held on February 5 at Park City Mountain. We started with a blustery First Tracks ski morning followed by breakfast at Legacy Lodge. After several runs, we enjoyed a panel discussion about women and philanthropy from three women sharing their personal and professional experiences in the field. The panelists included Phyllis Hockett, professional fundraiser and managing partner at Pathway Associates, Karen Marriott, founder and board member of the Marriott Daughters Foundation and Park City Community Foundation board member, and Jacki Zehner, co-founder of Women Moving Millions. Katie Wright, Executive Director of Park City Community Foundation, moderated the discussion. Several themes emerged from the conversation. Jacki remembers learning from her mother that philanthropy is the culmination of time, treasure, and talent, as she was always driving older neighbors to doctors’ appointments and delivering homemade pies. How women share their time and money with organizations they’re most passionate about can change over a lifetime. For example, when Karen Marriott’s children were young, she invested in their education, both in terms of volunteering her time and philanthropic dollars. After 30 years of experience in nonprofit fundraising, Phyllis’ focus now is on mentoring and leading the next generation of women philanthropists in the 18-35-year-old age group. Karen’s family instilled a deep passion for philanthropy both through service and donating to nonprofit organizations that fit their various passions. One of her father’s passions is early education whereas her mothers’ focus is on arts and culture. About 8 years ago, Karen and her three sisters established the Marriott Daughters Foundation and their main passion is women’s issues. 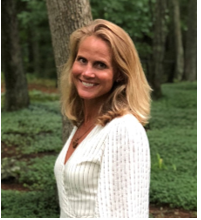 This led Karen to help fundraise for Peace House’s Thrive campaign, as well as fund an APRN position that fills a need for medication management in the mental health field in Summit County. Karen, Jacki, and Phyllis all raised their children to understand their privilege, whether through international service projects or acknowledging the needs in our own local Park City community by distributing Thanksgiving turkeys with the Christian Center. Women Moving Millions, co-founded by Jacki Zehner, is a community of over 300 members who have collectively given over $1 billion to organizations that uplift women and girls. Similarly, Park City Community Foundation’s Women’s Giving Fund demonstrates the power and impact of women giving together. For many young, professional women, the $1,000 donation to Women’s Giving Fund was their first foray into philanthropy and now it’s blossomed into a community of 1,300 women who saw a need in the community of early childhood education and supported it with the first high-impact grant of $30,000 to PC Tots. With years of experience in fundraising, Phyllis has helped clients raise over $260 million. Phyllis views her work with nonprofits as a means of supporting positive change in communities by providing organizations with distinctive, sophisticated tools to ensure institutional sustainability. A dedicated philanthropist, she believes in the transformative power of generosity – the generosity of volunteers and of donors. Her philosophy of nonprofit sustainability is founded on the principle of abundance and the enormous potential that generosity holds for our world and the nonprofit organizations that serve it. Phyllis is the co-founder and managing partner at Pathway Associates. 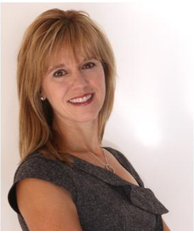 Karen has been actively involved in the Park City community since she moved to Park City in the fall of 1997. Her service, time and commitments have been primarily focused on her children’s schools, her church and nonprofit organizations. Karen’s recent work to help victims of domestic violence and people with mental health challenges has led to lasting change for our community. 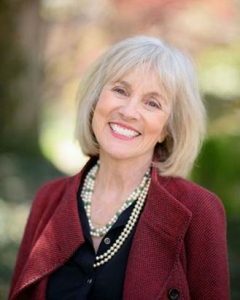 She currently serves as the Community Engagement Leader in her Park City Ward of the Church of Jesus Christ of Latter-Day Saints. She is also a founder and current board member of the Marriott Daughters Foundation which supports national and international nonprofits. Jacki dedicates her time and resources towards the advancement of women and girls. As the President of The Jacquelyn and Gregory Zehner Foundation, Jacki funds a wide variety of projects and organizations, with a particular focus on women’s rights, women’s foundations, movement building, and media. She is a Co-Founder of Women Moving Millions (WMM), a community of over 300 members who have collectively given over $1 billion to organizations and programs that focus on females. Prior to her philanthropic focus, Jacki was a Partner and Managing Director at Goldman Sachs, where she was the youngest woman and first female trader to make partner. Jacki serves on a number of boards and advisory committees and is an active writer, speaker, and consultant on topics relating to women and wealth, philanthropy, and leadership. Thank you to our sponsor Vail Resorts EpicPromise and Park City Mountain for making this unique event possible. The quarterly Crest Speaker Series is open to Pinnacle, Apex, Summit, and Crest level donors of Park City Community Foundation, as well as special invited guests. If you would like to learn more about becoming a Crest level donor, please reach out to Philanthropy Manager Sam Mueller at sam@parkcitycf.org.